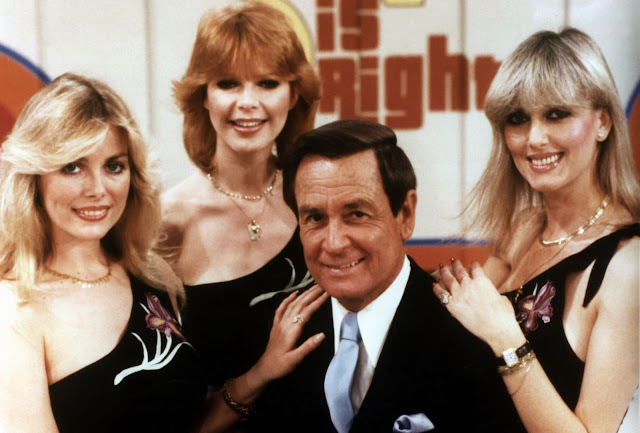 Home / 80s / Bob Barker / game show / The Price is Right / TV / The Price is Right: An '80s Game Show Gem That Hasn’t Lost Its Sparkle! 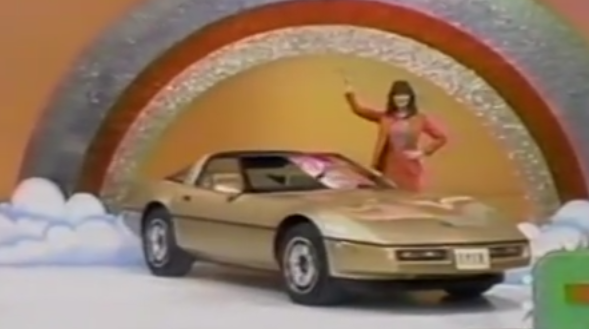 Roll back the years to the early '80s when game shows were hot and Bob Barker was the contestant’s best friend. Price bidding, bonus games and seriously big prizes are synonymous with The Price is Right, a CBS and ABC showstopper that has thrilled audiences and bedazzled competitors for 60 odd years. The blockbuster TV show, which kicked off in the fabulous '50s, has spawned a live stage show, several board games, multiple online bingo and slot games and a store-full of branded commodities. Influential, entertaining and a marketing masterstroke for the participating merchandisers, The Price is Right has scooped up Daytime Emmys, stampeded its way onto prime time television and set ‘longest running’ records that have yet to be broken. We take a look at the evolution of this effervescent game show and why it has become an incomparable gem...in the '80s and subsequent decades. In the original '50s version, bidding was auction-based and there was a minimum guideline bid. Contestants could continue bidding or freeze their bids, until a buzzer announced the end of the round. Rounds were compromised of either one bid or multiple bids, and the contestant whose bid was closest to the dollar-value of the product - without going ‘bust’ - bagged the prize. In the early days, the bulk of the prizes were comparatively modest in value and the only bonuses were those that were awarded after the winner had been announced. Bonuses were mainly extra prizes with a bonus game thrown into the mix. Tune-matching games were particularly popular, with songs by the superstars of the day - Frankie Lane, Chuck Berry, Johnny Cash and Elvis Presley - featuring prominently to get the live audiences a-hopping and a-bopping! The overall contestant who had won the most in bid-enabled dollar terms was crowned winner and was eligible to play in the next exciting episode. But, the really big beneficiaries in the maiden version of The Price is Right game show were the home viewers. Thousands of Americans crowded around their TV sets to watch the progressively popular game show. Their mission was to guess the total value of a multi-prize package. Bids were sent to the show by ‘snail mail’ and the ‘closet to value’ won a prize bundle that often included a luxury vacation or brand new car! In 1972, gameplay was given a shake up. Four distinct gaming components are written into the script for the first time and nine contestants now have to compete for the end-game, a two-person Showcase. The one-bid bidding round is still based on the ‘closest to the value of the merchandise’ and determines which of the contestants go on to play Pricing Games. Those who don’t survive to the next round got consolation prizes. The lucky participants got chances to win cash, cars, expensive merchandise, and vacations. The games received creative names and designs like Squeeze Play, Let ‘em Roll, Pathfinder, Cliff Hanger, It’s In the Bag, Switcheroo, Freeze Frame and dozens more. Thereafter, a few lucky contestants go on to the Big Wheel to determine who progresses on to the show’s thrilling Showcase finale. Prizes, spin-offs and bonuses were part of the Showdown shootout and at the end of it all, the two Showcase Showdown winners advanced to the final bidding game on a showcase of two or more big money prizes! The secret of The Price is Right game show is no-one goes home empty handed...ever! Participating in The Price of Right game show isn’t easy. There are millions of folk vying for a shot at the big time. A much easier way to collect free bonuses capable of unlocking big dollar payouts is to browse through online gambling guides which conveniently list welcome bonuses offered by high end online and mobile casinos. Once you’ve signed up and juiced your account, your bankroll is given a real money bonus booster you can use to wager on casino games which pay out in dollar-terms. Hit the right combinations of cards, choose the correct number or slot in roulette or line up high paying symbols on an active payline in slots and you can become a big winner....whenever you feel the urge to play. There’s no agonizing wait to be selected, or drawn out process to go through to be eligible for a really major prize. All you’ve got to do is brush up on your game rules and strategies; choose a casino game with a progressive jackpot or above average payout rate and watch as the loot comes rolling in. It may not be typically '80s but it’s the gaming trend of the new millennium.